The GMA Dove Awards is Gospel music's biggest night of the year, featuring top artists from the many different genres of Gospel and Christian music. The event will be an evening of music and celebration held at Allen Arena on Tuesday, October 15, 2019. For questions regarding GMA Dove Ticket Policy and other concerns, please contact the GMA office at service@gospelmusic.org . Please allow up to 3 business days for response. - Ticket purchases for the GMA Dove Awards are final. We are unable to offer refunds or exchanges. - Tickets will be available for pick up at the Allen Arena Box Office starting Monday, October 14, 2019, at 12:00pm. 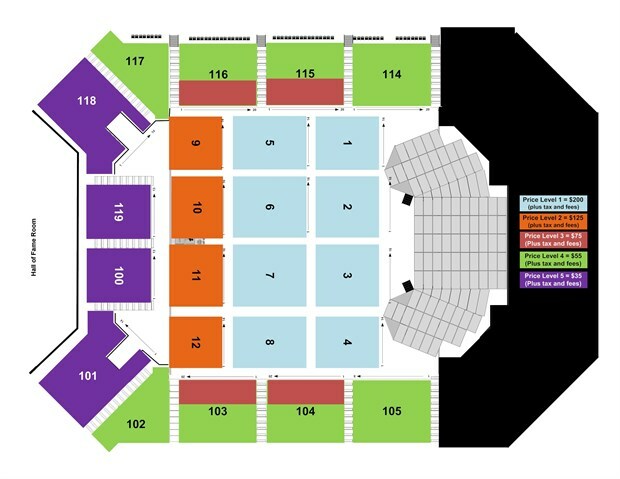 For questions about seating call the Lipscomb University box office at Allen Arena at (615) 966-7075. Hours of operation are typically Monday-Friday 8:00am-5:00pm. The "Ticket Purchaser" (indicated when ordering your tickets) must present a photo ID upon arrival at the box office in order to claim tickets. Add a unique addition to your Dove Awards memory with our Fan Experience! For $125, get your photo on the Red Carpet, attend the Industry-Only Pre-Show, and more!.